* All fares below were last found on : Apr 23, 2019 1:43:11 AM. Fares are round trip. Fares incl. all fuel surcharges, our service fees and taxes. Displayed fares are based on historical data, are subject to change and cannot be guaranteed at the time of booking. 61% of London Gatwick Airport travelers were over the age of 35. 24% of London Gatwick Airport travelers were over the age of 60. 7% travelers traveled to LGW with kids under the age of 14. 29% of LGW travelers were millennials. 52% of LGW travelers were female. JFK, MAD, YYZ were the most popular destinations visited by First-Class travelers from LGW. Travelers spent an average of 11.00 days in London Gatwick Airport. 10:00AM - 11:00AM are the busiest hours at LGW. Every week, at least 10 domestic flights and 1845 international flights depart from LGW. 1708 flights arrive each week at LGW. 1686 nonstop flights arrive at LGW each week. The first flight to LGW departs around 6:00AM - 7:00AM. The last flight to LGW departs around 11:00PM - 12:00AM. May was the month with most bookings for LGW airport. December was the month with least bookings for LGW airport. Operated by Gatwick Airport limited and owned by Global Infrastructure Partners, London Gatwick Airport is the second largest international airport after London Heathrow. 34 million passengers passed through the airport in the year 2012. The airport acts as a base for British Airways, Air Lingus, Virgin Atlantic and Norwegian Air Shuttle. The airport has the most efficient single runway in the world serving around 200 destinations in 90 countries around the globe. Numerous airlines fly to and from this airport, the major ones are Aegean Airlines, Air Transat, British Airways, EasyJet, Emirates, Lufthansa, TAP Portugal and many more. It connects the passengers to destinations comprises of Madrid, Malta, Amsterdam, Tampa, Naples and many others. Book flights to London Gatwick Airport (LGW) with CheapOair! In addition to offering competitive airfares to locations most convenient for you, we provide useful information to inform your travel to LGW. Read below to learn more about LGW flights, and count on CheapOair for the best deals on all of your travel booking needs. 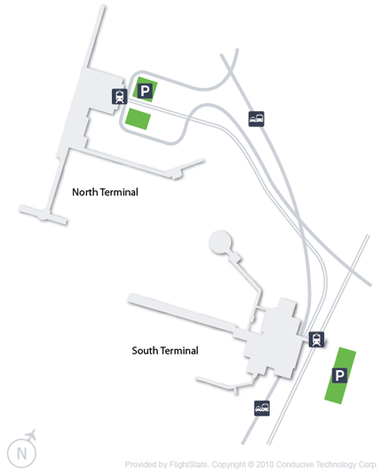 Both public and private land transportation options are available at the London Gatwick Airport. Major car rental companies offering regular services to and from the airport include Avis, Europcar, National, Alamo, Enterprise and Budget. You will find many bus services taking you to more than 400 UK towns and cities operating from the lower South Terminal forecourt. London Gatwick Airport aims at offering great services and amenities to its passengers, so you can get a plethora of options to eat, connect and kill time while waiting for your flight. Boingo Hotspot offers high-speed internet service, first 30 minutes are free. Traveling for a business? The airport offers a wide range of business facilities including lounges, meeting rooms and charging docks so that you never run out of battery and miss any important call. Other amenities offered by the airport include currency exchange, shopping, dining and much more. 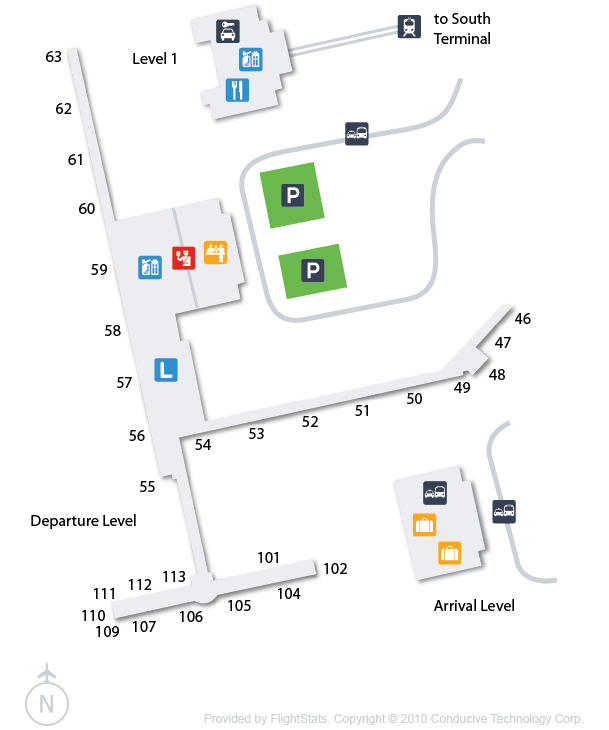 With a wide range of parking options available at the airport, parking is never a hassle at London Gatwick Airport. 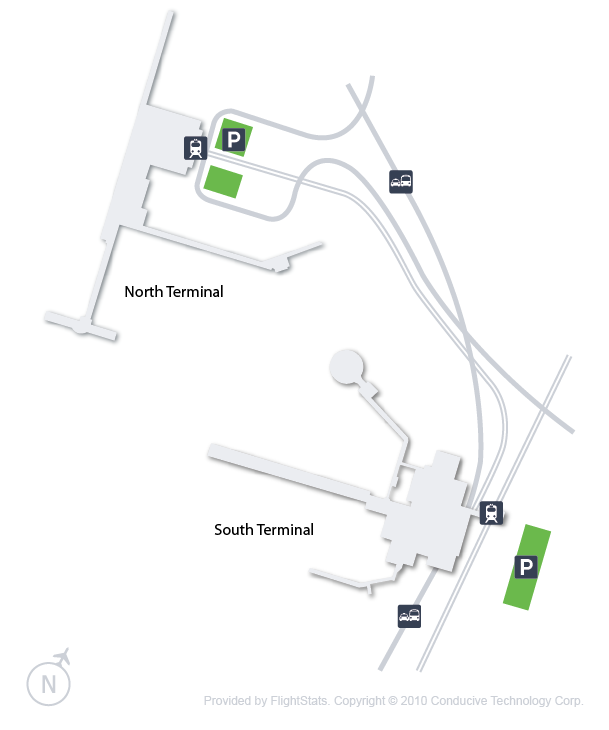 If you are departing from the South Terminal, the closest and the best option for you is the Long Term parking that is well connected with the terminal via bus service. 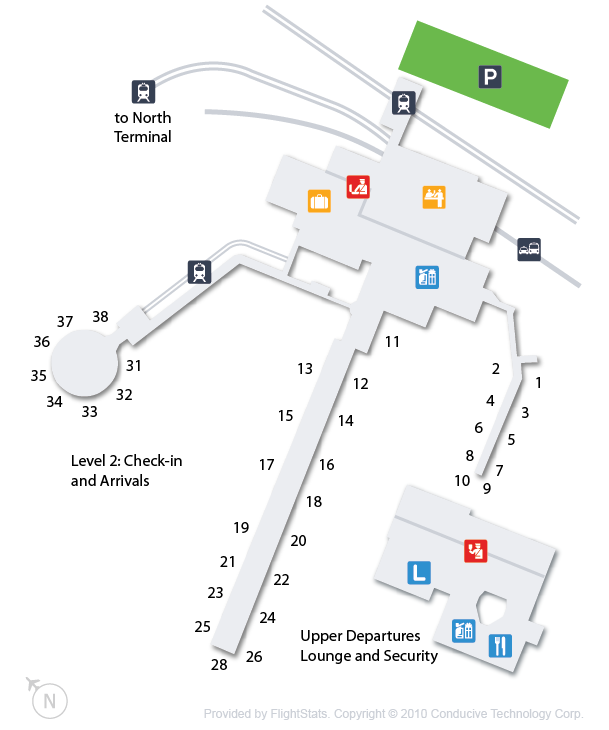 The short stay parking lot is located right next to the terminal and is the best choice for those who are here at the airport to pick or drop someone. One of the most convenient options when using airport parking is the valet parking, hand over the keys and walk straight to the terminal. Find cheap hotels in London - Lowest rates for all sorts of London hotels!